HomePoliticsHey, It’s Lies In Your Mailbox Season! Hey, It’s Lies In Your Mailbox Season! 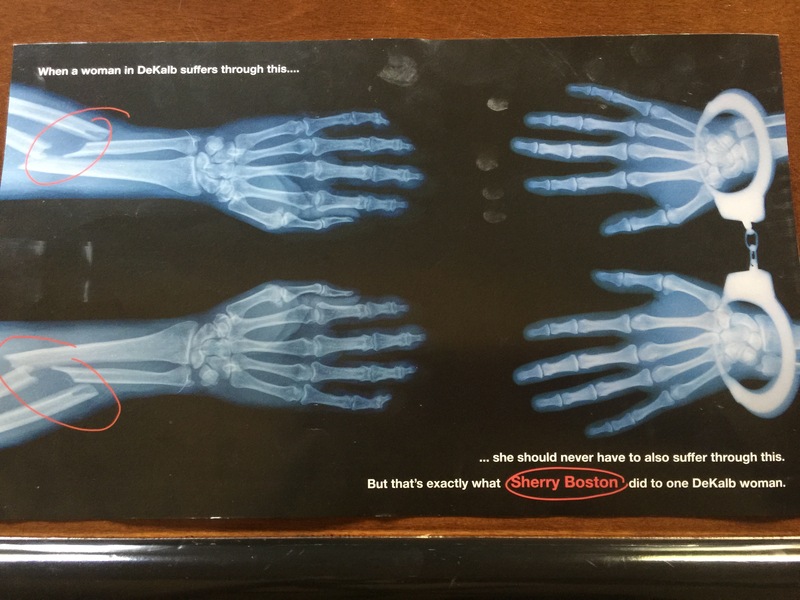 It’s that time of year when literally unbelievable nonsense shows up in your mailbox, such as this accusation from embattled DeKalb District Attorney Robert James accusing his opponent Sherry Boston of handcuffing a victim of domestic violence with two broken arms and leaving her that way for 17 days. No really. The same guy who let former Commissioner Elaine Boyer keep her pension but charged her aide Bob Lundsten with 9 felonies over some $300 in mislabeled receipts wants you to believe that Sherry Boston handcuffed a woman with two broken arms for 17 days. Apparently, Robert James thinks you’re stupid and forgetful, and that you don’t care that he has just re-endangered a victim of domestic violence for political gain. That’s right, the lead prosecutor for DeKalb County used the name of a victim of domestic violence, without her permission, in a campaign flyer. To score dishonest political points. So if you’re ever the victim of domestic violence in DeKalb County, don’t worry. Come election time, Robert James will make sure you get to be victimized all over again. *Disclosure: I helped candidate Sherry Boston with her initial announcement and her television advertising, both of which were truthful. You mean it’s possible for Dekalb Co. politicians to reach new lows? Where oh where can rock bottom be found? Does it even exist? I was told that I am not able to vote for the Dekalb commission because I am city of Atlanta resident (still within DeKalb county). Is this true for other residents of incorporated cities inside Dekalb?